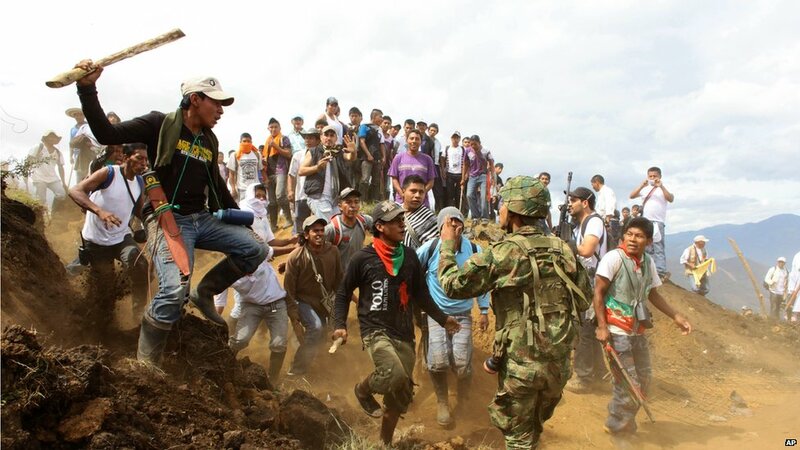 Members of the Nasa indigenous community in the Colombian province of Cauca turned on soldiers at a local base after their deadline for troops to leave expired. Tensions in the area had been growing over the past week. 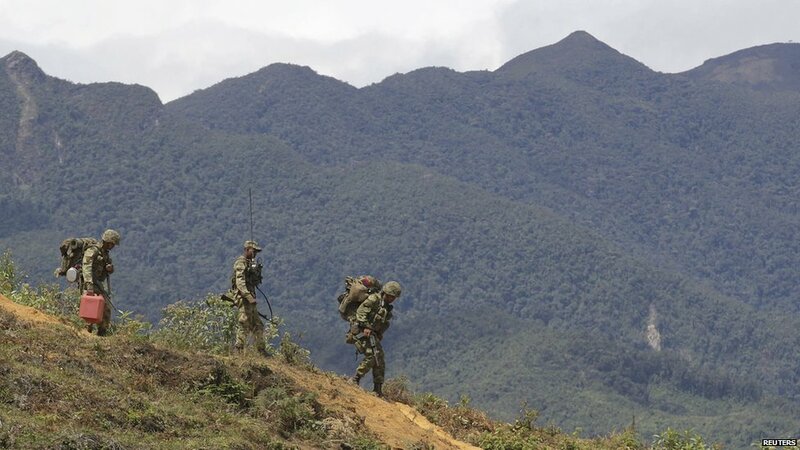 The Nasa people say the presence of the army attracts attacks by Farc rebels, and they are caught in the middle. 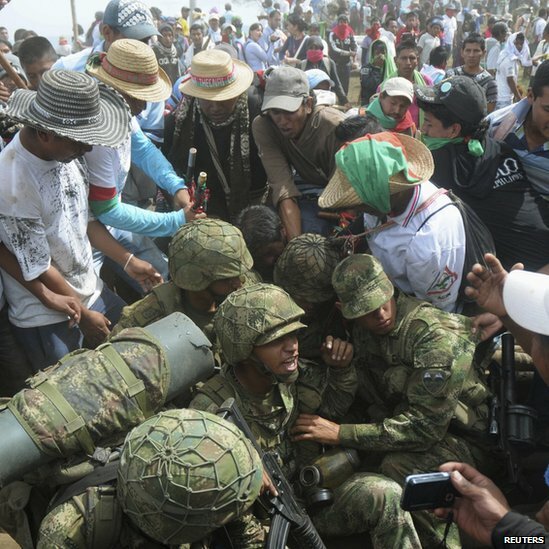 Some 1,000 people surrounded the troops, who were guarding a strategic hilltop near the town of Toribio. 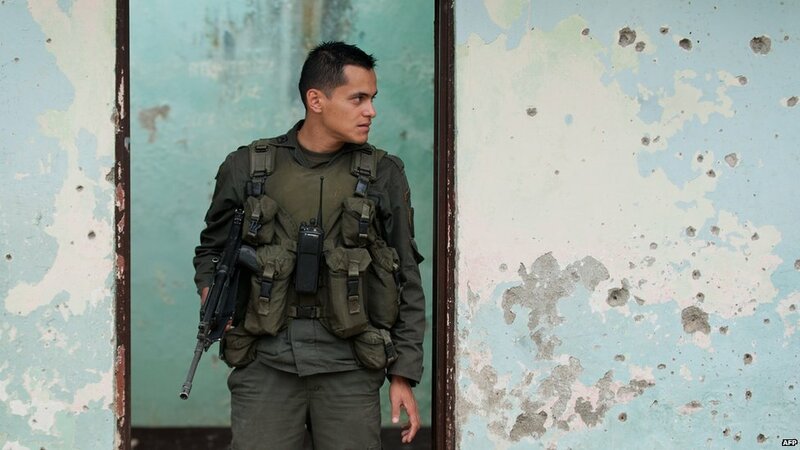 The areas is a rebel stronghold and key drug-trafficking corridor. 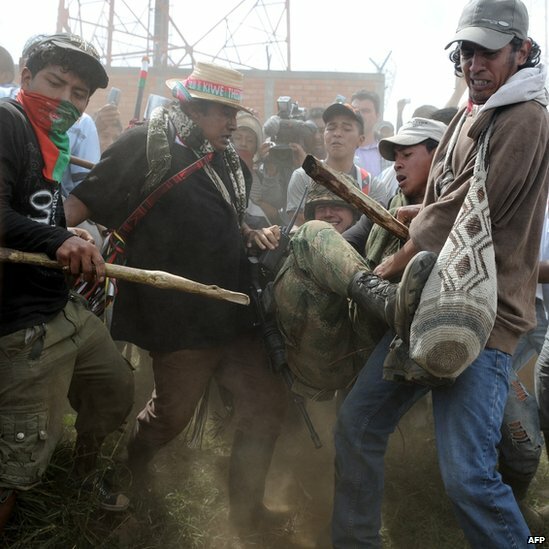 Some of the soldiers were forcibly removed, provoking a strong reaction from President Juan Manuel Santos. "We will not permit attacks on those who are defending us. Everything has a limit," he said. The army said troops had moved further down the mountainside to avoid further clashes. 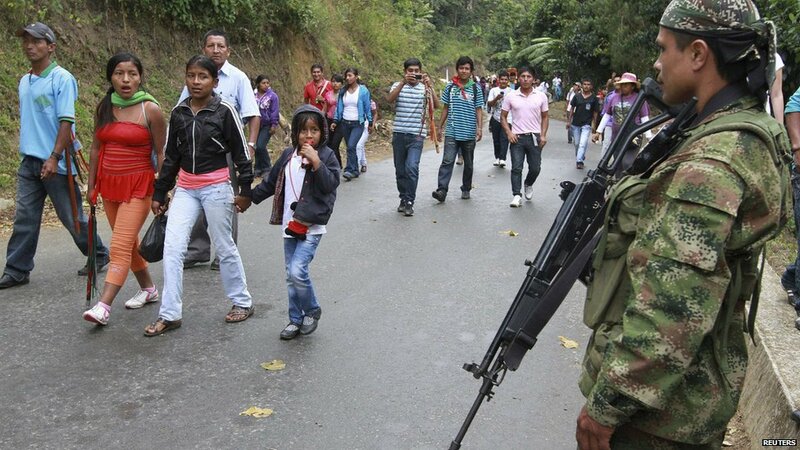 But Defence Minister Juan Carlos Pinzon insisted that the security forces would remain in the area. 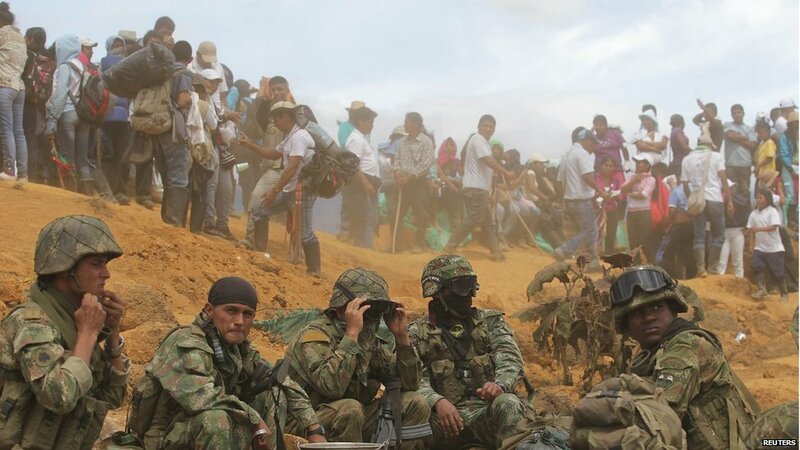 Indigenous groups also want the rebels, seen here manning an illegal checkpoint on the outskirts of Toribio, to leave their ancestral lands. But not all the civilian population in the region wants the armed forces to leave. The departure of the army and police would leave a serious security vacuum, some local officials say.